Hirings, promotions, and other personnel matters in the nation’s biggest oil patch—or in companies who do business here. Benjamin D. Lamb was promoted to Executive Vice President and Chief Operating Officer. He will lead commercial and operational efforts across all of EnLink’s asset areas, ensuring the successful execution of EnLink’s strategic plan and seven growth strategies. Lamb joined EnLink’s predecessor company, Crosstex Energy, in 2012 and has played a key role in the development and execution of the company’s strategic plan, including leading several transformative acquisitions. Most recently, Lamb served as Executive Vice President of Oklahoma and North Texas, overseeing operations and commercial activity in EnLink’s key supply basins. Alaina K. Brooks was promoted to EnLink’s Executive Leadership Team as Executive Vice President, Chief Legal and Administrative Officer, and Secretary. She will lead several departments across the company, including legal, regulatory, human resources, public and industry affairs, and environmental, health, and safety. She continues to play a leadership role in the creation and successful execution of EnLink’s strategic plan. Brooks joined EnLink’s predecessor company in 2008 and has filled several legal roles since that time, most recently as Senior Vice President and General Counsel. Eric D. Batchelder, Executive Vice President and Chief Financial Officer, will add corporate development to his CFO responsibilities, leading the company’s strategy around investments, growth opportunities, and financing. Batchelder joined EnLink in January 2018 as Executive Vice President and CFO. He has more than 15 years of financial leadership experience in the energy sector. Pharma-Safe Industrial Services, a leading provider of health and safety solutions, announced Aug. 2 that Anita Nelson has been appointed Director of Training. Nelson will join the Odessa, Texas, office and will be responsible for all training services company wide. Due to the growing demand for safety training and education, the company has also opened a new training facility to better service the West Texas market. Leveraging her experience and knowledge of occupational safety and health, Nelson will develop and implement training and safety solutions for clients’ health, safety, and environment efforts. In addition, Nelson will also direct and facilitate training programs, communicate company-wide safety strategies and procedures, and perform HSE audits. Nelson holds numerous degrees and certifications across the HSE industry. She received a Bachelor of Science in Occupational Health, Safety and Environment and in Business Management. Nelson is also a Licensed Practical Nurse. Nine Energy Service, Inc. an oilfield services company that offers completion and production solutions, announced June 20 that Ann Fox, president and CEO, was selected as a winner of the EY Entrepreneur of the Year Award in the Gulf Coast area for energy. The award recognizes entrepreneurs excelling in areas such as innovation, financial performance, and personal commitment to their businesses and communities. Fox was selected by an independent panel of judges, and the award was presented at a special gala event on June 14 at the Marriott Marquis Houston. Said Fox: “I am pleased to accept this award on behalf of the Nine team. It reflects their innovation, talent and entrepreneurial spirit.” As a Gulf Coast Area award winner, Fox is now a contender for the Entrepreneur Of The Year 2018 National Awards. Award winners in several national categories, as well as the Entrepreneur Of The Year National Overall Award winner, will be announced at the Entrepreneur Of The Year National Awards gala in Palm Springs, Calif., on November 10. Since 1986, EY has honored entrepreneurs whose ingenuity, spirit of innovation, and discipline have driven their companies’ success, transformed their industries, and made a positive impact on their communities. Danos has appointed two executive team members to new roles: Reed Peré will serve as vice president of business development, sales and marketing, and James Callahan will serve as the vice president of operations. Peré has over a decade of industry experience and began his career with Danos in 2006. He received the award for Danos’ Staff Employee of the Year in 2012 and joined the executive team as vice president of production services in 2015. In his new role overseeing sales, business development and marketing, Peré will be based primarily in Danos’ Houston office. In Callahan’s move from vice president of project services to vice president of operations, he will absorb the production services responsibilities which Peré previously oversaw. This will be in addition to his current supervision of successful project operations worldwide, providing integrated project support for customers’ onshore and offshore activity. 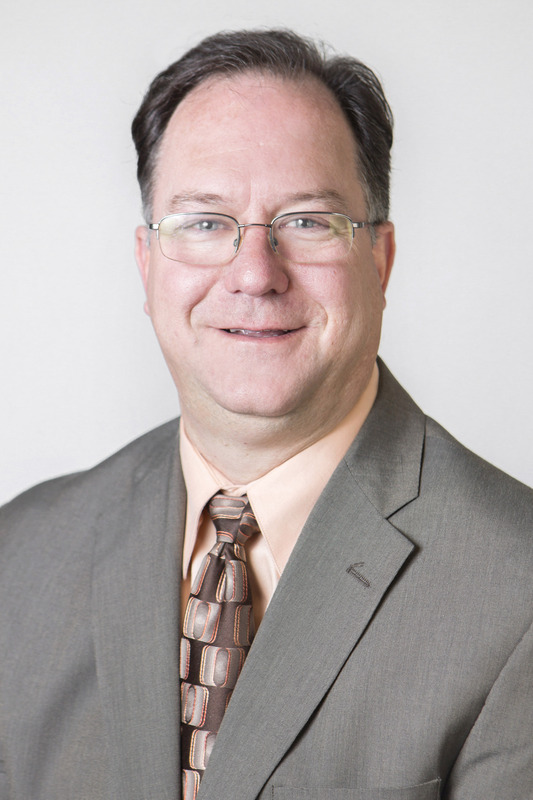 Callahan joined Danos in 2013 as director, and later vice president, of finance and administration. With nearly three decades of experience in finance, risk management, asset management and procurement, he has held executive leadership positions in the telecommunication and ship repair industries. “Both Reed and James have continuously demonstrated their ability to lead our organization, and we are confident they will continue to be great leaders in their new roles,” said owner Paul Danos. The moves of Peré and Callahan have created additional organizational changes, allowing for 12 Danos team members to take on new positions within the company. Among these new positions, Mike Guidry, who currently serves as operations manager, will move to a new role as general manager of production. A resident of Cut-Off, Guidry has been with Danos for 25 years and was named Danos’ Staff Employee of the Year in 2009. Additionally, Manager of Project Management Kevin Biringer will become the general manager of projects for the Permian. Biringer interned with Danos in 2013 and joined full time in 2014. A native of New Mexico, Biringer currently lives in Houston. Hunton Andrews Kurth LLP (formerly Hunton & Williams and Andrews Kurth Kenyon) was pleased to announce July 19 the expansion of its Dallas office and its highly ranked energy practice with the arrival of Myles F. Reynolds and Tab R. Urbantke, as partners on the firm’s energy and infrastructure team. Reynolds and Urbantke were most recently at Vinson & Elkins in Dallas, where Reynolds was a partner and Urbantke was counsel. Both are former associates at Hunton & Williams, which combined with Andrews Kurth Kenyon in April. Reynolds advises electric and natural gas utilities, midstream companies and other energy providers regulated by state and federal government agencies. He regularly represents clients in litigated proceedings, including rate cases, certificate proceedings and complaints. He also assists clients on greenfield project development, legislative initiatives, regulatory compliance, commercial transactions, significant mergers and acquisitions and financings, and post-closing business transitions. Reynolds earned his undergraduate degree from Washington & Lee University and his law degree from Tulane University Law School. Urbantke represents a variety of energy sector clients, including electric and gas utilities, mining companies, power marketers, and generators. His experience includes both rulemaking proceedings and administrative litigation involving a variety of rate case, licensing, complaint, and merger proceedings before numerous state and federal agencies. He also leads negotiations for clients on a variety of commercial energy transactions and advises companies on legislative strategy, drafting, and advocacy efforts. Urbantke earned his undergraduate, master’s, and law degrees from Baylor University and Baylor Law School. Lastly, while it’s not a “personnel” announcement, recent news from Danos reveals a development there that affected all of its construction personnel, at least in one sense. Danos’ construction service line has reached an important milestone in that they have worked 1 million manhours without a recordable incident as classified by the Occupational Safety and Health Administration (OSHA), according to a recent announcement from Mark Danos, an owner in the family-operated firm. Danos also noted that many clients are allowing early engagement by the construction team in the execution planning process. This provides a chance for managers to better evaluate the scope of each project and build a team that is best suited for each job, resulting in higher performance with a lower chance of incidents. “Safety has always been and continues to be our number one priority, and we strive to have each Danos employee return home in the same condition they came to us,” said Danos. The company currently has over 600 employees working in areas of construction. Project locations include Gulf of Mexico, Permian Basin, Marcellus Shale, Danos’ Amelia facility, and onshore locations across South Louisiana. If you have personnel news to share, please send your information, including photos if available, to jesse@zacpubs.com.